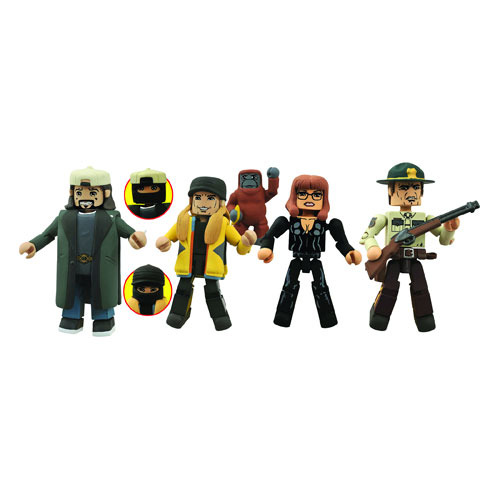 Jay and Silent Bob strike back in this box set of Minimates min-figures based on their biggest film, Jay and Silent Bob Strike Back! This time, a mask-wearing Jay and Silent Bob come packaged with Federal Wildlife Marshall Willenholly and notorious jewel thief Justice - plus a micro-'Mate of their orangutan friend Suzanne! Each 2-inch Minimate mini-figure features 14 points of articulation and interchangeable parts. Packaged on a blister card. Ages 12 and up.